Previously offered only to our Stream Team Teachers and Volunteers, who work in the middle and high schools to guide students through this very meaningful experience. 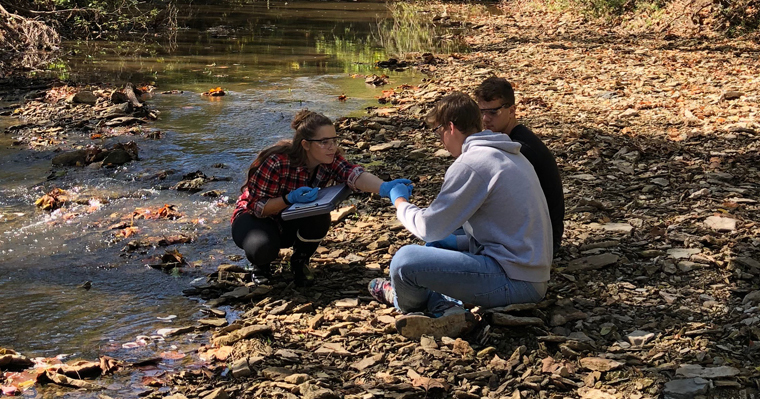 Mapping the watershed, exploring land use and its impact on the watershed, learning how to characterize their stream using chemical, physical, visual and biological parameters. Now open to anyone interested in learning about stream monitoring. Limited openings; adults only. RSVP to 913-294-3751 Ext. 3.